And speaking of Gibson, I have Spook Country sitting on the shelf ready to go once I’ve finished Thirteen. 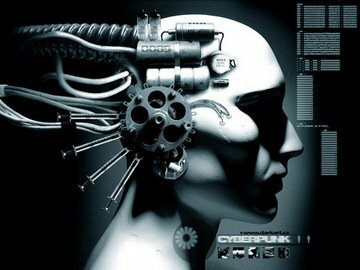 Not sure that one fits into the Cyberpunk mold though. Then it’s time to hit Amazon once again and build the pile up. Last Banks thing I read was Matter, and I wasn’t overly impressed. Which is a shame, because his early stuff (Consider Phlebas, The Player of Games, etc) was absolutely excellent — not to mention the Iain Banks stuff like the Wasp Factory and the Crow Road. As for Spook Country — Gibson readily admits that the world has caught up with his cyberpunk and that it’s morphed into something else. He’s still one of the best writers out there for my money. For pure Morgan SciFi, try the Takeshi Kovacs series starting with Altered Carbon. http://en.wikipedia.org/wiki/Takeshi_Kovacs It can get a little rough, in language and violence, though — but I think you’re okay with that from our conversations. I read Matter as my second Banks novel with Excession being the first some years ago, and did enjoy it. I’ve since read Phlebas, Player of Games, and Use of Weapons and was impressed by each. I do like the little twists he puts at the end. Another author I really like is Alastair Reynolds. He did a three book series starting with Revelation Space, but there is a gem of a standalone in the same universe called Chasm City and a superb two novella book called Diamond Dogs/Turqoise Days that I rave about. Unfortunately I lent it to someone and it hasn’t come back. Well worth a look, all of them. Bam. First line. Hooked forevermore. How could one not be? Funnily enough I’ve just finished reading Johnny Mnemonic and the Sprawl trilogy, followed by 1984. Probably should read something about fluffy kittens next to balance things out. Heh — everyone goes on about how dreary and dystopian and pessimistic cyberpunk is, including stuff like the Spawl trilogy. Oddly enough I found the Bridge books (Virtual Light etc.) far more pessimistic than the Sprawl stuff, in which the protagonists are constantly kicking against The Man (and were more readily identifiable-with, at least for me). And it can’t just have been a youth thing – I re-read the Sprawl books myself a couple of years ago. I’d definitely start with Altered Carbon for Richard Morgan, I wasn’t as much of a fan of Black Man (published as Thirteen in the US); he’s moved onto fantasy now with The Steel Remains which is pretty good too. Alastair Reynolds is a great shout too, generally hard-ish SF space opera, Chasm City is really good and has lashings of noir. Personally I’m on a Cold War bender, having discovered abebooks.co.uk which allowed me to pick up a bunch of out-of-print Anthony Price books, he’s rather excellent. I’m reading “Rainbows End” by Vernor Vinge. Adding a few of those above to my long list of books to read. Thanks! Ooh, nice list of books. I’ve been meaning to read more Iain Banks; glad to know I should stick with the earlier work. I’ve been diving into more movies thanks to Netflix. Catching up on some more obscure cyberpunk-themed movies. I really should read more Charlie Stross, though; I met him at a conference last year and he’s a really great guy. Seriously, William Gibson is a really great science fiction writer and I do need to go back and do some read throughs since it has been an awful long time since the last. Sorry, I am drunk-posting. I just hit KISA, let’s see who else can fall to my mighty Tecate-blade! Mexican beer FTW! PS: I am currently double-teaming: Plato Through Homer by Zdravko Planinc and Homer’s Iliad and Odyssey: A Biography by Alberto Manguel. Top-notch stuff!